Using RippedRX NO2 Blast is claimed to offer “mind-blowing results”, but can we really believe the claims being made by this trial offer. We know from past experience that trial offers are often best avoided as they are usually quite expensive with some unable to prove their own claims. In this review we will look at this supplement in more detail before we conclude whether you should sign up for the offer or not. 4 Is RippedRX NO2 Blast a scam? While these are impressive sounding it is always worth looking at the ingredients used to see if the supplement does offer the claims that it says it does. It is easy to write claimed benefits but another story to actually prove them. Unlike some other supplements we have reviewed, RippedRX NO2 Blast does show its label so you can see exactly what it contains. It contains various amino acids such as L-Arginine and L-Citrulline, as well as other ingredients that have been shown to boost your own training efforts, for example Dipotassium Phosphate. While there is nothing groundbreaking about these ingredients they will certainly aid your own efforts in the gym. Having read the terms of this offer I discovered that after just 18 days you will be charged $86.51 for the privilege of trialling RippedRX NO2 Blast. I have also discovered that should you fail to cancel the trial during this period you will also be sent further monthly packages. This is because signing up to this trial also means that you have signed up for an auto-ship scheme too. Trial offers have a bad name for themselves and for good reason. As is the case with RippedRX NO2 Blast, they are often overpriced with auto-shipping that not many people will like. My suggestion to you would be to give this offer a wide berth and to look for an alternative that is more upfront about its costs. 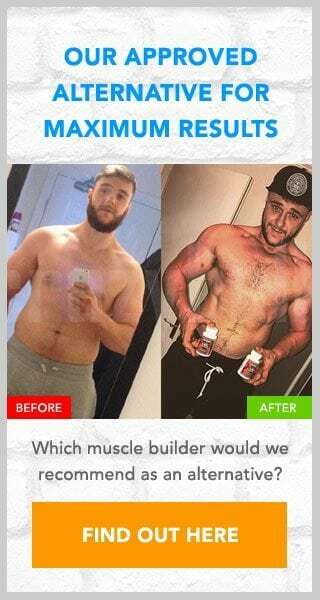 If you have trialled this supplement then we would love to hear from you. Please leave a message below. You do not have to put up with hidden and repeat charges when you look at the supplements offered by Crazy Bulk. No wonder it comes so highly recommended. I have transaction on my credit card, / I want to be refunded for the transaction as at May 8th $ 86.51 USD on credit card and I have never received the products of this order and I never allowed these transactions. Best regards ! This page is a review. We do not endorse this offer or any trial offer. You can cancel by using the contact details provided in the above review, or failing that you should contact your bank.